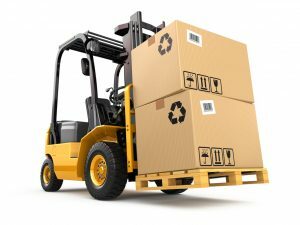 Forklifts, known formally as “powered industrial trucks” or PIT, are commonly used to move heavy materials for shipping or construction purposes. As with most heavy machinery, there is an inherent danger with operating forklifts. These dangers can be mitigated by proper training, safe working conditions, and adherence to safety guidelines. If you or a loved one has been injured in an accident involving a forklift due to the negligence or recklessness of another party, you may be entitled to compensation through a personal injury claim. The personal injury lawyers of Kamensky, Cohen & Riechelson have been serving clients injured in construction accidents involving forklifts and other heavy machinery since 1972. We will fight to protect your legal rights as we have done for clients across Pennsylvania including towns like Levittown, Northeast Philadelphia, Millbrook, Bensalem, Feasterville, Penndel and all of Bucks County. Lean on our knowledge and experience to attempt to recover full and fair compensation for your injuries. Call our office for a free and confidential consultation today. Our Bensalem and Northeast Philadelphia Legal Team, lead by Kevin Riechelson, will be standing by to discuss the specifics of your forklift accidents, your resulting injury, and your options moving forward. There are specific guidelines that must be followed in order for forklift usage to be considered safe and proper. If OSHA regulations are not followed, any resulting accident may be considered a result of negligence. However, this is not the only avenue by which our Levittown attorneys can prove legal liability. Many forklift and other heavy machine related accidents are a result of operator error. This can be due to careless operation, exhaustion, distraction, overloading, traveling at unsafe speeds, and more. Even properly trained operators make mistakes. In the case of operator error, the operator’s employer may be found at fault. Another common cause of power industrial truck accidents stems from defective equipment. This may lead to a scenario where the manufacturer, distributor, or company which owns the forklifts may be held liable for an injurious accident due to malfunctioning, faulty parts, or equipment. Unsafe conditions and hazardous environments which were outside the power of the forklift operator’s control may also be the catalyst or primary reason for the accident. In many instances this will fall under premises liability statutes as the property owner is legally responsible for maintaining safe and secure conditions. If you or a loved one has been injured in a forklift accident, there may be two possible avenues to injury compensation, a workers’ compensation claim or a personal injury claim. The Pennsylvania Workers’ Compensation Act prevent employees from filing third party personal injury claims against their own employer in most situations, however it is often the case, especially when it comes to forklift accidents, that injured parties are eligible for workers’ compensation and also have a potential personal injury claim against some other responsible third party. In the immediate aftermath of any injurious accident, it is important that the injured parties see a medical doctor as soon as possible. In this way you will not only be given the medical treatment you need, but you will also receive a diagnosis which can be used to show your injuries are genuine and that they are directly tied to your accident. It is also wise to avoid signing any paperwork before speaking to a personal injury attorney. Insurance companies understand that forklift accidents often lead to traumatic and severe injuries that may end in huge personal injury claims payouts. Often times they will attempt to settle your claim quickly in order to minimize both legal fees and any prospective settlement amount. Speak to our attorneys before signing away your chance to receive full and fair compensation. The construction accident attorneys of Kamensky, Cohen & Riechelson have over four decades of experience serving injured clients in accidents across Pennsylvania towns including Northeast Philadelphia, Penndel, Millbrook, Bensalem, Levittown, Feasterville, and the regions of Philadelphia County and greater Bucks County. For a free and confidential consultation regarding your forklift accident personal injury claim, contact us online or call our Bensalem offices at (215) 337-4915 to speak with an experienced member of our personal injury legal team.